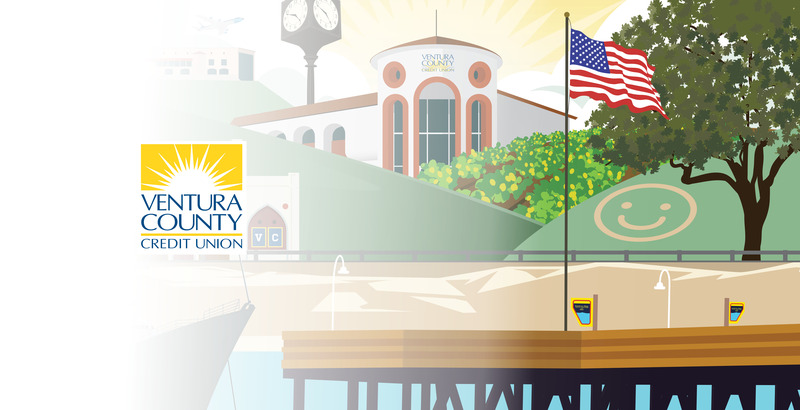 Mustang and Ventura County Credit Union (VCCU) have been working together on PR efforts and marketing campaigns since 2009. Since partnering up, Mustang has implemented a number of campaigns for VCCU, and our “Below Average” campaign is one of our favorites. For this campaign, VCCU came to Mustang with a clear goal: increase registration rates for VCCU credit cards. Having worked with the credit union for a while, Mustang decided to test out a pretty cheeky approach, spinning VCCU’s low interest rates into a “we’re below average” mantra. After careful internal vetting, VCCU signed off on the concept and Mustang got to work implementing the campaign. 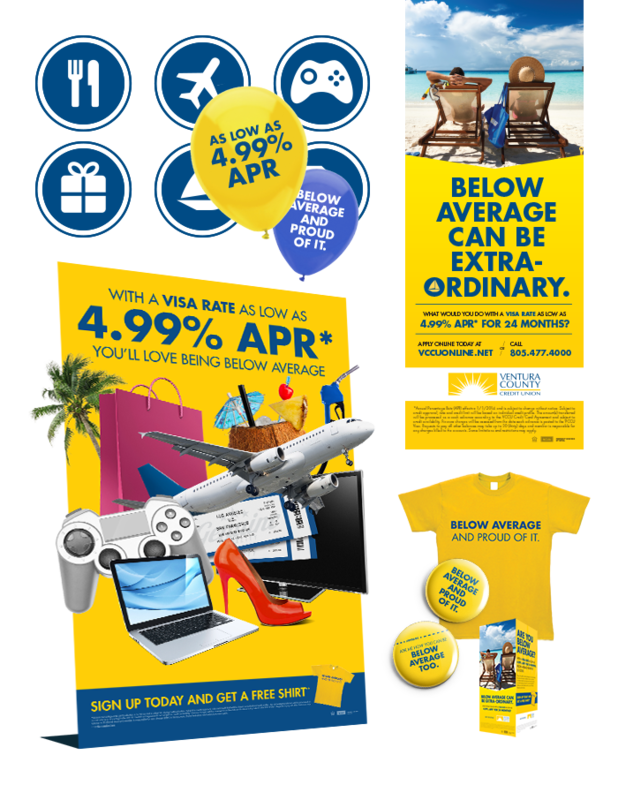 At each VCCU branch, our efforts included “Below Average” T-shirts and pins for employees, giveaways (members who signed up for a credit card also received member versions of the “Below Average” T-shirts), and a variety of signage. To extend the campaign’s reach beyond the branches themselves, we also developed and implemented social media posts, website content, e-blasts, statement stuffers and ads through local media outlets. The “Below Average” marketing campaign was a huge success. VCCU saw a 40 percent increase in credit card registration — and had a ton of fun. Others apparently agreed, as Mustang won a Graphic Design USA award for the campaign! Mustang has since worked on a variety of campaigns for VCCU, including the #thatsmyVC campaign and a Summer of ’17 campaign.